You can still enter my give away!!! Great Easter idea for Easter parties. Easter is in few days, so i dropped some little gifts for Easter to my friends. I also have 2 Birthdays. I made cards....I printed this picture on wallet sizes...Cut my cards from the store in half. Cut some pink polka dot paper to frame the picture....My favorite "adore" stamp. A ribbon on top. Used my puncher to make holes. I darkened the edge of all papers with brown ink. I made some strawberry cupcakes from a box mix....Strawberry icing piped in swirl. Coconut Cookie and 3 blue peanut candies. Preheat oven 325*, Mix all ingredients well. Make little balls with mixture. With your thumb, press in the center to form the nest. Cook on cookie sheet until a little bit golden on sides and bottom. At Christmas i make those. Add Strawberry jam in the nest after they are baked and dip the bottom in melted chocolate.. I have been using this instead of sugar, it's natural. I like it. French obsession the 1st of the month linking party !!! 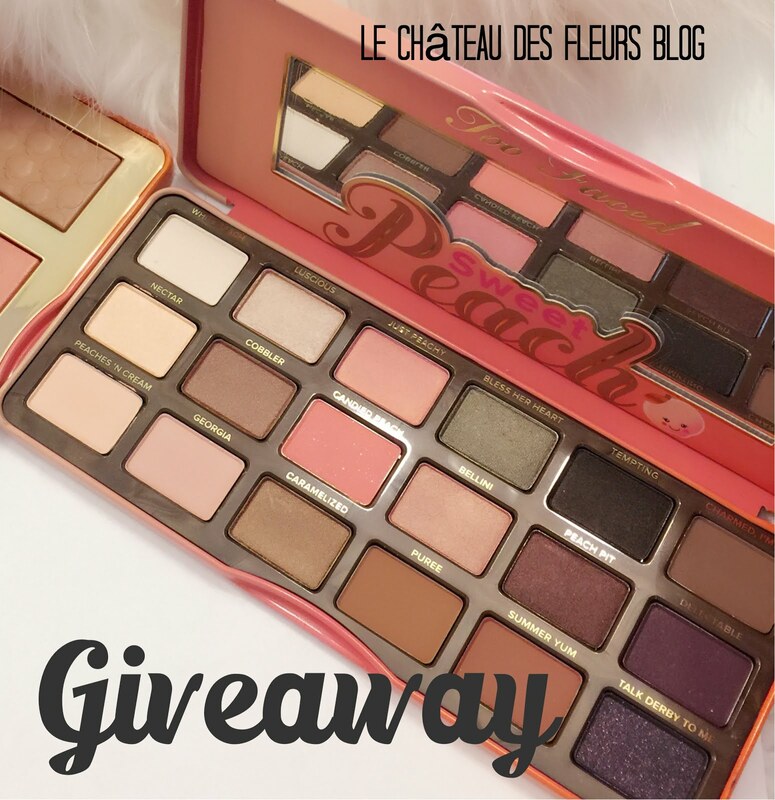 And French give away! This cake, cupcake and cards are great for Parties. Birthday, Spring, Easter and Baby shower.First Birthday too.....For a Boy or a Girl. To see how to make this cake click HERE. You are so talented, those look beautiful. Your friends are very lucky. Oh how pretty. I love the graphic and if you visit my blog today you will see how I used it. Your cupcakes look yummy and so does your sweet card. Very cute. I'm sure your friends will love the gift and all your heartfelt sentiments. Your blog is just beautiful!! Cupcakes and cards are such a sweet gift!! you are just so creative...nest cupcakes !!! how sweet. your cards are so pretty. your friends are very lucky. Oh, those are just great! Awesome job making them!!!!!!!!!!!!!!!!!!!!!!!!!!! The cupcakes look yummy! You are so creative. And i love the cards. Very nice. Those cards are so cute! Thanks for joining the party! What a beautiful card ... you are so creative. The cupcakes yummmy... Have a great Easter! Your coconut cookie cupcakes are absolutely adorable! Thank you for sharing this great idea! Thanks for sharing your cute ideas!! Wow!! Those cards are stunning!! What a fantastic idea for the cupcakes too!!! I just LOVE your blog!!!!! Thank you so much!! I loved making these!! Nancy, i could not leave a comment on your blog! Beautiful table scapes!! the cards are beautiful and the cupcakes look delicious! found you at new friend friday. Love your birds nest cupcakes- so cute. Your blog is so cute! Love the "nest" graphic. Oh wow- this is all so cute. 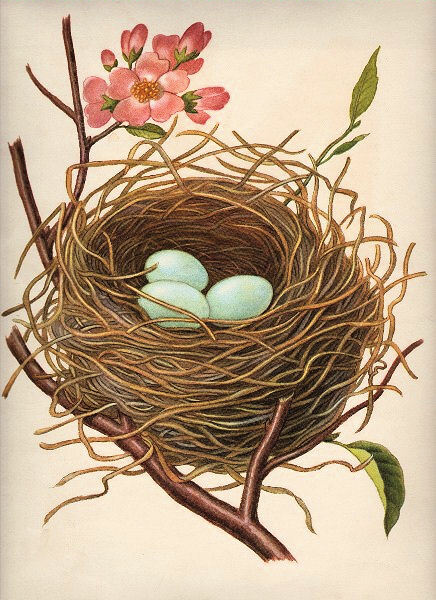 The bird nest image (how did I miss that one???) made darling cards and the 'matching' cupcakes with nests are beyond words. And the little coconut nest cake under the cloche is just killing me- it's so cute. I love the inspiration this has given me for a spring tea party. Thank you, thank you!!! How cute these look all together. Lucky friends! I loved it! Thanks for sharing! I have a great interview with a savvy blogger on my blog right now with great tips on how to help your blog grow. I've decided that I'm coming to visit you this summer. Is that ok? Love the nest cookies and putting them on top of the cupcake is fabulous! Have a blessed week! How wonderful!! I love it all!!! Thanks so much for linking up another one of your fabulous posts to "Brag Monday". How cute. your so talented! Great job on the cards. I love that image too. The cupcakes came out great too! Very pretty tag. The cupcakes are adorable. Be sure to visit AtticMag this week for our Giveaway! What a sweet idea! I love giving my friends little gifts! Thank you for your comments, encouragements and love. You are the best! What CUTE cards...thanks for sharing them at NTT! Your cards ARE super cute. And that cake! I am off to check out that post right away. Thanks for linking up to Be Inspired today! Super cute ideas! I bet your friends were really excited to receive those. Love the cupcakes! Thanks so much for joining in the fun at Cupcake Tuesday! I hope you stop back by again next wk. Wow! So cute! Thanks for linking up to this week's Super Crafty Saturday! This is the yummiest center piece I have ever seen! The card is adorable. Youare so creative. It looks so real. All the recipes and cupcakes sound like I want one right now. Yum!!! thank you for a fun and interesting post today. Those cupcakes look so good! Thanks for linking up to the Weekend Wrap Up Party! I hope you will link up and show us more of your projects! What a sweet friend you are. The cards are sweet and the cupcakes and cookies look delicious! I wish I had something French inspired to link up to your party! Thanks for joining Get Your Craft on Thursday! Please join me next week for another great party! This is so cute. I love it. The cards are so pretty. Thanks for sharing at 'Look at me, I'm SO Crafty!' at Fun to Craft!